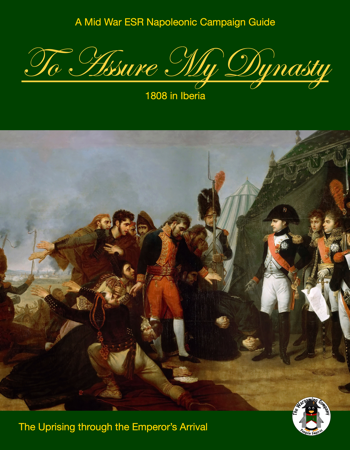 The first Peninsular War title from The Wargaming Company is now shipping! I assume you will have copies at Fall-In? Yes, indeed, we will have copies of To Assure My Dynasty with us at Fall-In. As usual, you may also order a copy via our website and select free delivery to Fall-In as your shipping option if you choose.